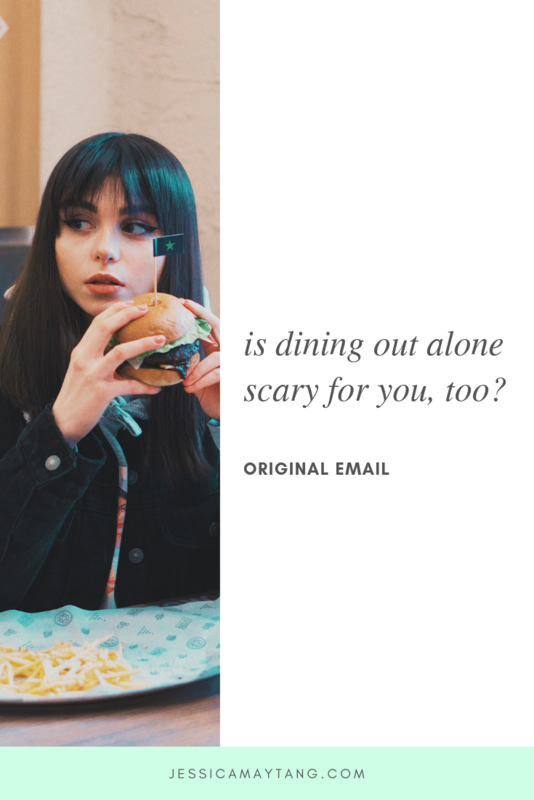 Have you ever eaten in a restaurant alone? Did you like it? I have once...and it was weird. I didn't know where to look. I had documents with me and I was trying to look through them. While eating with a knife and fork. It wasn't graceful. blech. I've been worried about making new friends in Hawaii. And not doing the things I enjoy because I'm afraid of looking like a doofus. So my therapist gave me homework to go eat dinner by myself. blech. I felt contrast at first - a big flood of "I don't wanna"s and "I'm going to look so dumb"s. But she reminded me that it's not much different from when I sit at coffeeshops and eat lunch while taking a break from working. Then of course, my brain decides to turn this assignment into a whole thing. So today, I am taking myself out for a solo trip out to Big Sur to soak in the sunshine and views. Maybe read a book and write a little. Then I'll get a late lunch/early dinner by myself before driving back home. I'm basically sandwiching my assignment in between things I really enjoy doing. I'm a little nervous, but I'm looking forward to that scenic drive. And I'm looking forward to seeing the ocean.